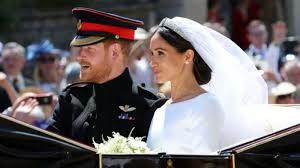 Wedding and weather lift UK economy in May – Royal Times of Nigeria. The UK’s economy grew by zero-point-three percent in May, helped by the royal wedding and warm weather, latest figures show. 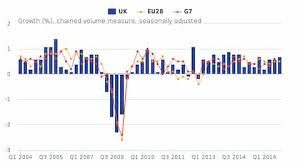 The latest assessment by the Office for National Statistics marks a change in the way the UK’s GDP is calculated. From now on, the ONS will release a monthly indicator and a rolling three-month figure. Previously it only put out growth data every three months. In the three months to May, the economy grew by zero-point-two percent compared with the previous three-month period. Retailing, computer programming and legal services all performed strongly in the three months to May, while housebuilding and manufacturing both contracted.